10. Bad News Bears (1976) Walter Matthau, rest his hilarious soul, plays a aging alcoholic ex-minor league player who begins coaching a talentless group of kids playing Little League Baseball. This is a timeless film and I still prefer the original to the remake with Billy Bob Thorton. 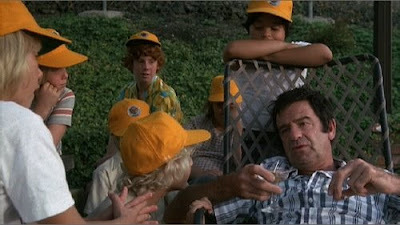 Matthau has some perfect deliveries in the film. Truely a fun film to watch every now and again. 9. For Love of the Game (1999) Kevin Costner in his last baseball film, plays an aging pitcher who struggles to keep up the same performance of his younger years in his now final years of his major league career. The film, directed by Sam Raimi, flashes through Billy Chapel's last four years of his career and relationship with the woman he loves. 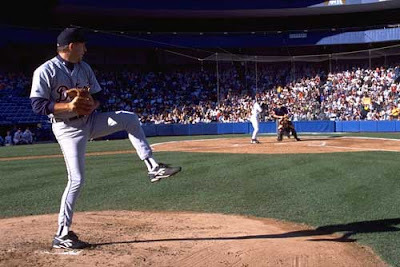 Costner is a mastermind when it comes to baseball movies and he is no different here, with the touching baseball drama. 8. 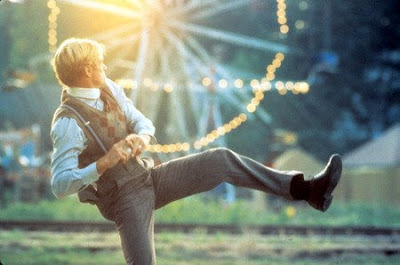 The Natural (1984) One of my favorite Robert Redford films, The Natural is a very slow paced drama, but really does provide a great fantasy baseball story. Redford plays Roy Hobbs who helps bring a 1930s baseball team out of the dumps with his bat made from a tree struck by lightning. The Natural has one of the coolest slow-motion home run scenes you'll ever see. A must see for any sports fan! 7. A League of Their Own (1992) Downright a great historical baseball film that focuses when women replaced men in baseball while they were fighting in WWII. 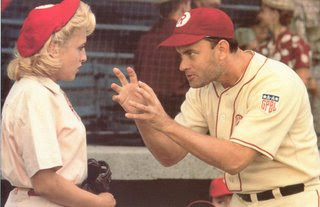 A League of Their Own was directed by Penny Marshall and has a great cast including Tom Hanks, Geena Davis, Lori Petty, Madonna and the only time Rosie O'Donnell has been tolerable (well sorta). Tom Hanks is a riot in this film, as the drunken coach of the all female baseball team, who is doing everything he can not to lose his mind surrounded by all these women. 6. 61* (2001) 61* was Billy Crystal's 3rd directorial effort and an outstanding film for the avid baseball fan he is. The story follows Mickey Mantle and Roger Maris and their pursuit of breaking Babe Ruth's single season home run record. Tom Jane and Barry Pepper star and both provide near perfect performances for the HBO made film. Crystal does a great job illustrating the media's influence on making Maris out to be the bad guy, while Mantle was the golden boy. 61* is a perfect film for an Yankee fan and a great watch for any baseball fan.